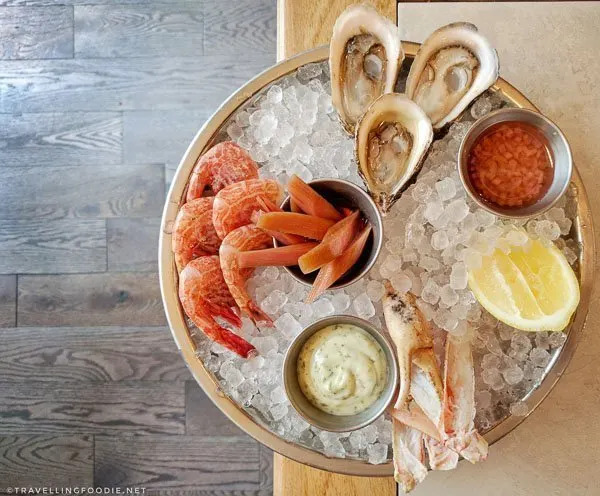 World renowned for its seafood, Nova Scotia is Canada’s east coast seafood province much like British Columbia is on the west coast. 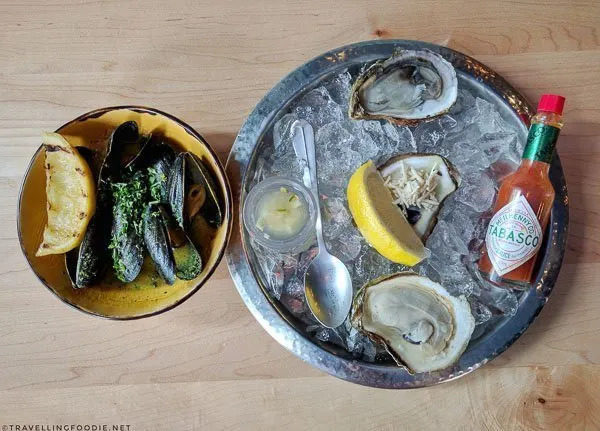 As Nova Scotia’s capital, Halifax is home to some of the best seafood and restaurants in Canada so a trip to Halifax is not complete without checking out its food. 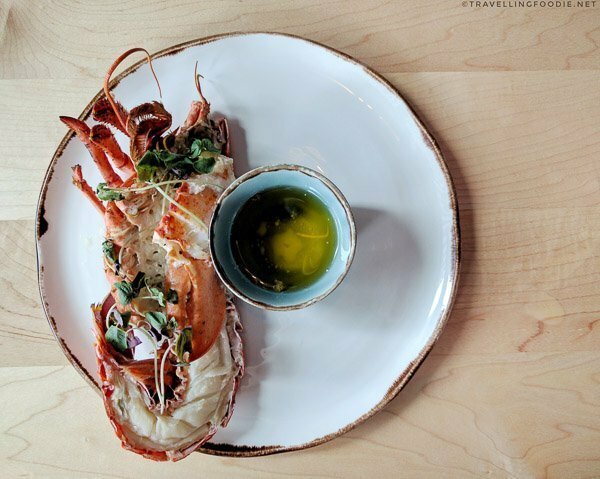 Aside from the many attractions in the city, the Halifax food scene is growing rapidly making it a perfect destination for foodies and seafood lovers. Did you know? 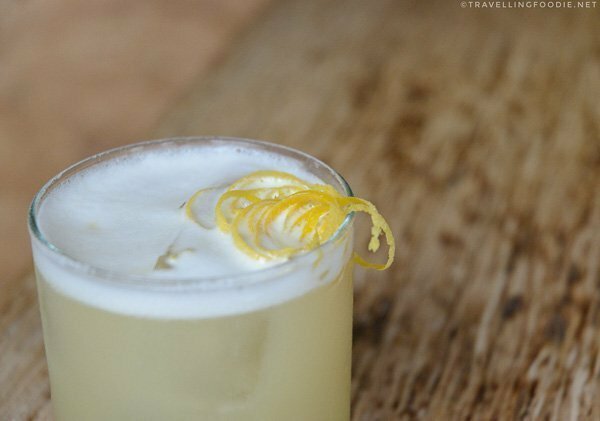 Halifax has more bars per capita than any city in Canada. 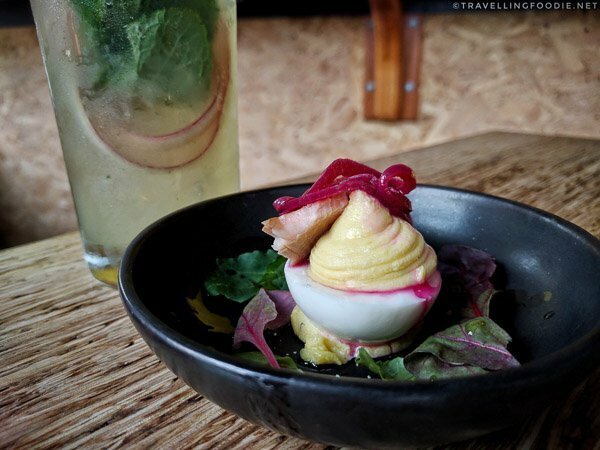 During my press trip with Discover Halifax and Tourism Nova Scotia, the Travelling Foodie obviously had to check out some of the best places to eat in Halifax! 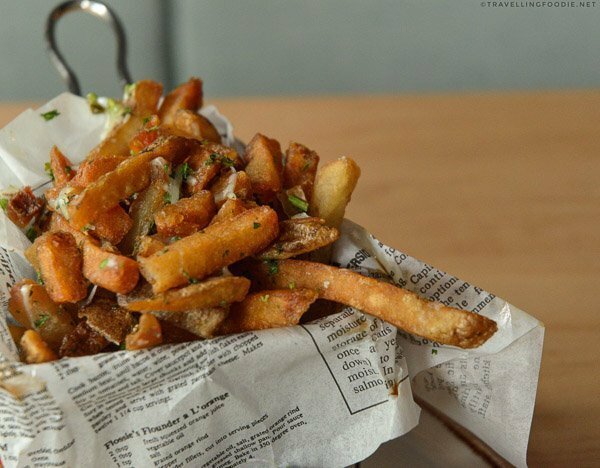 Being such a walkable city, most restaurants are walking distances from each other – so food tripping is very easy to do! The furthest I had to walk to was Studio East Food + Drink, which is a good 30 mins walk from my stay at The Halliburton Hotel. If you were watching the stories in my Food Instagram (@TravellinFoodie), I was eating for 6-8 hours a day! Crazy, right? Doing all that walking is definitely a great way to exercise before the next meal. 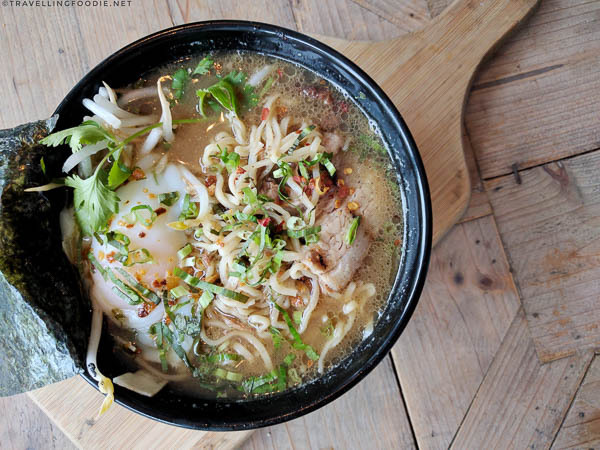 Where to eat in Halifax was hard to tackle. There are so many restaurants I wanted to try, but that just means I have to be back! 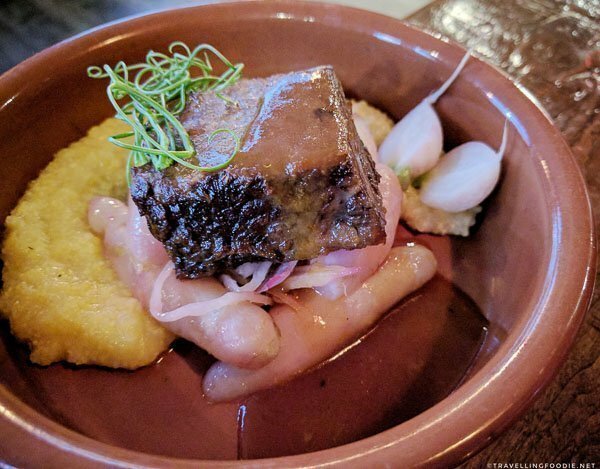 Here were 8 of the best restaurants in Halifax that I had the pleasure of checking out – in no particular order. 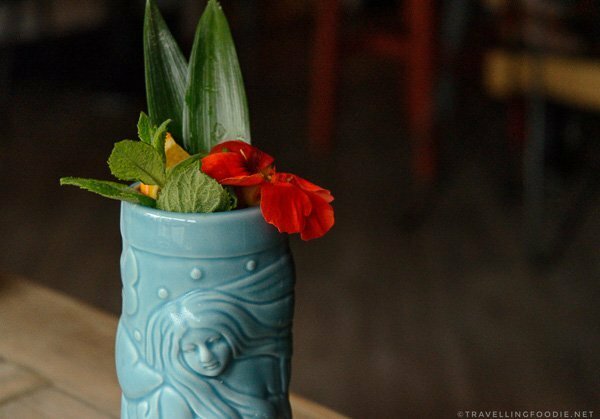 Edna is located in North End Halifax with a very casual homey vibe. 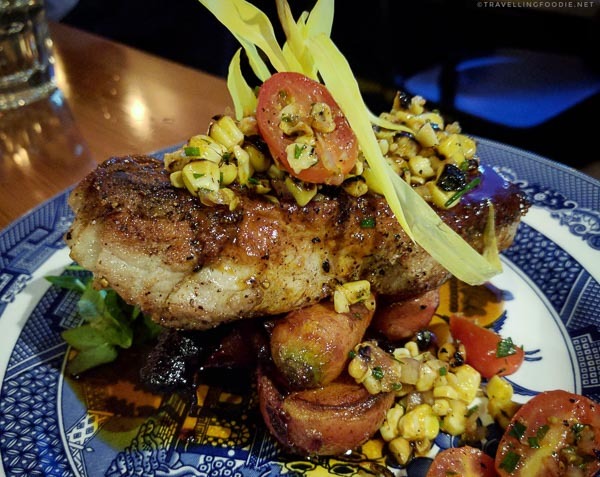 They’re known for their fresh local seafood and brunch on a frequently changing menu. Did you know? The name Edna stands for “Eat, Drink, Nourish, Always”. There are 60 seats consisting of a few tables by the entrance next to the windows, a bar area with seating, a communal table across the bar, and more tables across the open kitchen. So if you want to take photos of food, be sure to come earlier to grab the window seating. I heard their brunch is amazing as they keep winning Best Brunch. I didn’t get to try it though as my trip was during the weekdays. Definitely my most favourite dish that night was the Seared Scallops. 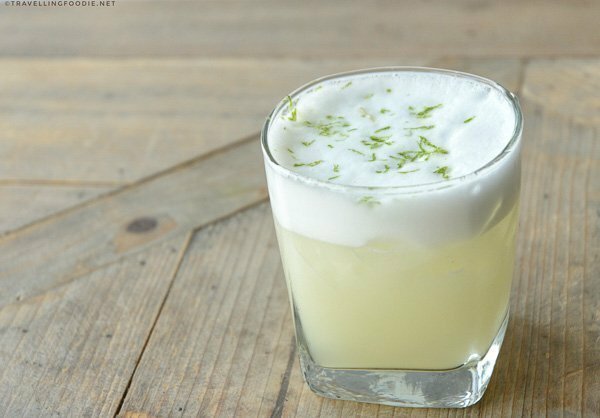 It’s a very unique combination of ingredients that just perfectly worked. 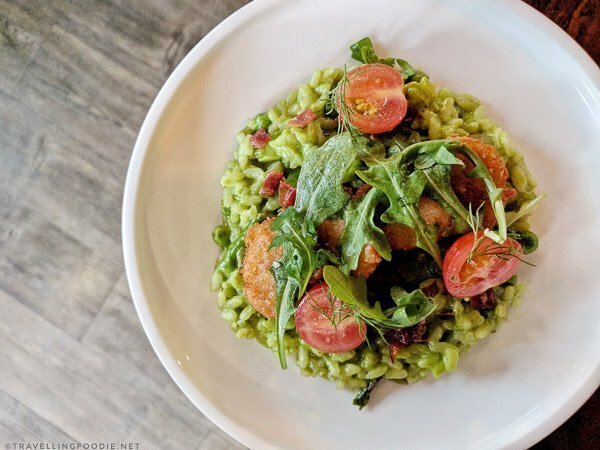 You have the saltiness of the bacon, the bitterness of the arugula pesto, and the sweetness of the grilled corn and popcorn. Heaven! If you want a good sampler of seafood, the Raw Bar has a good variety of seafood. The tuna tartare really hits the spot in this platter – I would order it on its own if it’s available on the menu. They have a selection of Raw Oysters from Nova Scotia available. 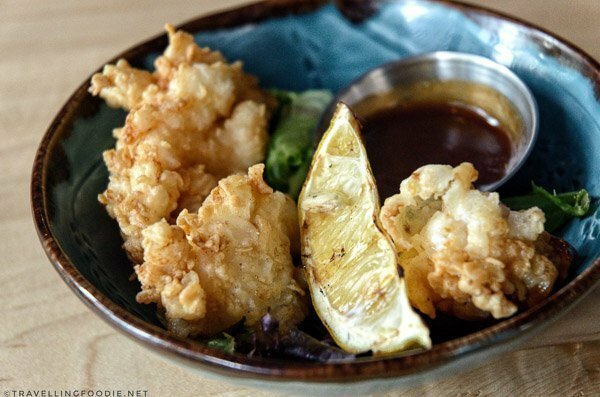 If you don’t feel like raw, they also have Fried Oysters as an option using the same selection of oysters. The batter was light and fluffy with a nice dollop of sauce on top. 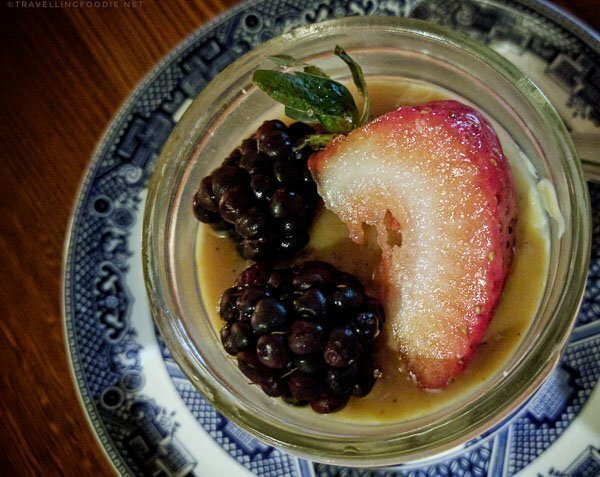 A great palate cleanser was the Butterscotch Pudding. Love the strong butterscotch taste with salted caramel without being overly sweet. 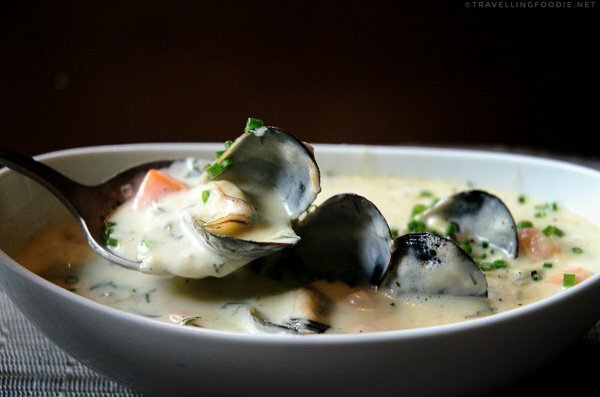 Five Fishermen is one of the most historic restaurants you can visit in Halifax. Originally an art school dating back 1817, the building became a burial for victims of the tragic Titanic and Halifax Explosion. 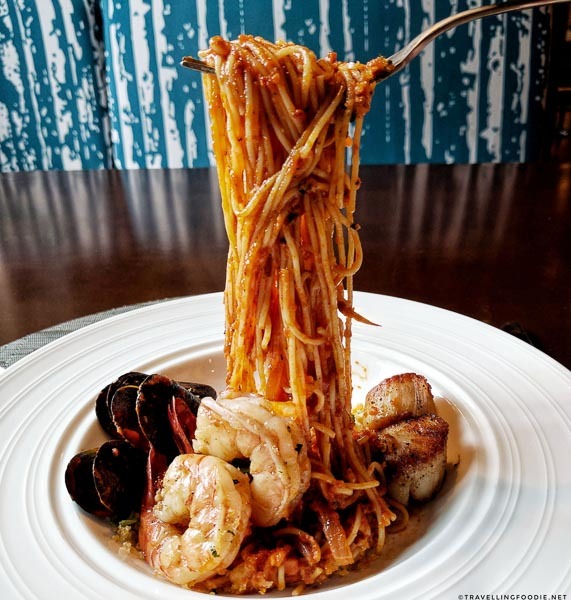 Divided into two restaurants, the Little Fish Oyster Bar is the casual restaurant on the main level, and the main fine dining restaurant on the upper level. In the bar, you’ll also find the oyster bar where you can see the selection of oysters they have for the day. 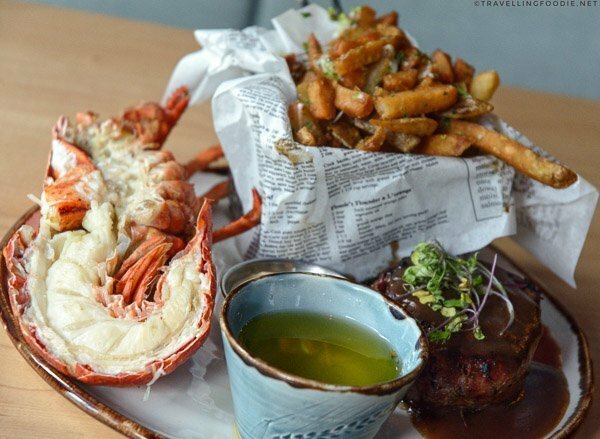 If there’s one thing you have to get here, it’s the classic Nova Scotia Lobster. It’s one of the best I’ve ever had – meaty, juicy and tender. 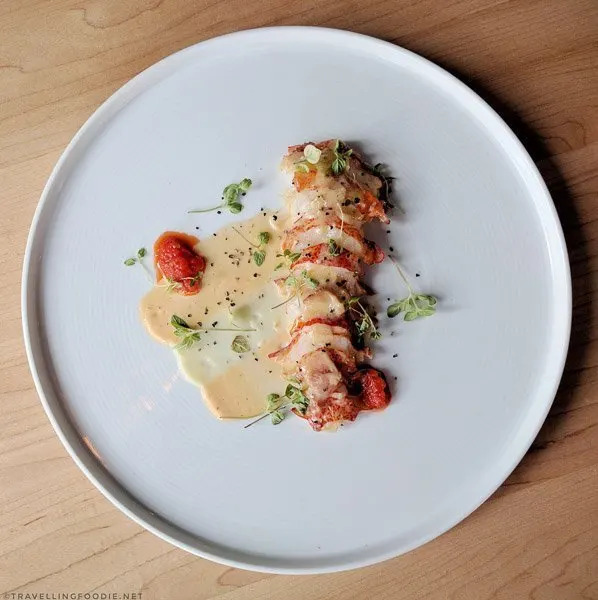 I initially had half lobster as part of my Tenderloin with half lobster lunch, but ended up ordering another half because it was just so damn good! But seriously, their lobster dishes I had here were on point! 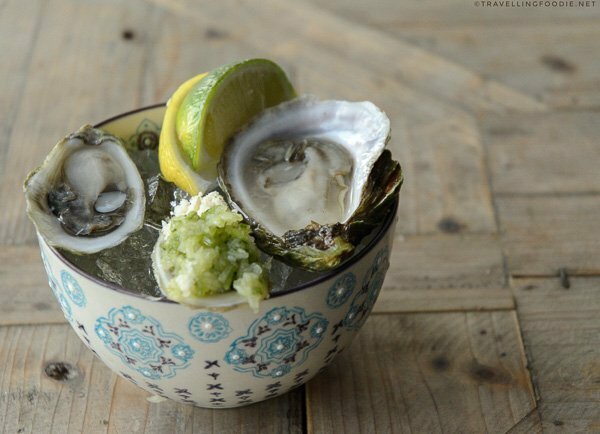 Since they are also an oyster bar, definitely get their oysters! 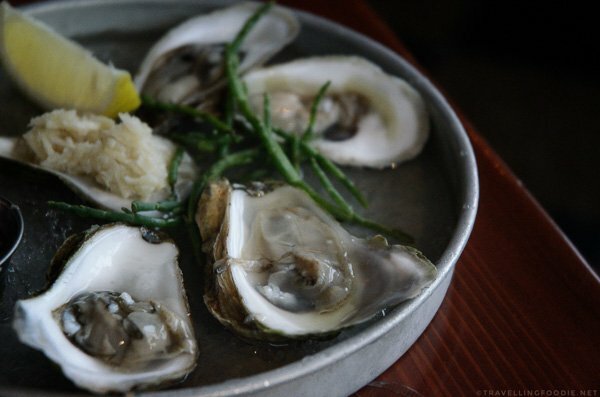 I loved the Northern Nova oysters – reminded me of Kusshi oysters. 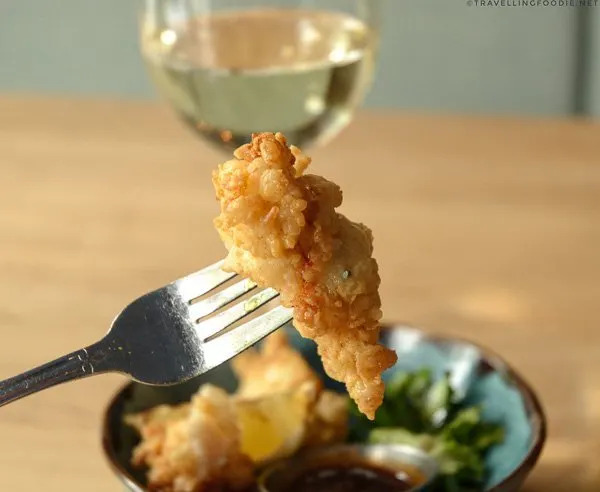 Travelling Foodie Tip: They have an Oyster Happy Hour Daily from 4:00pm – 6:30pm which includes six fresh local oysters and either any 12oz draught or 5oz wine for $15. 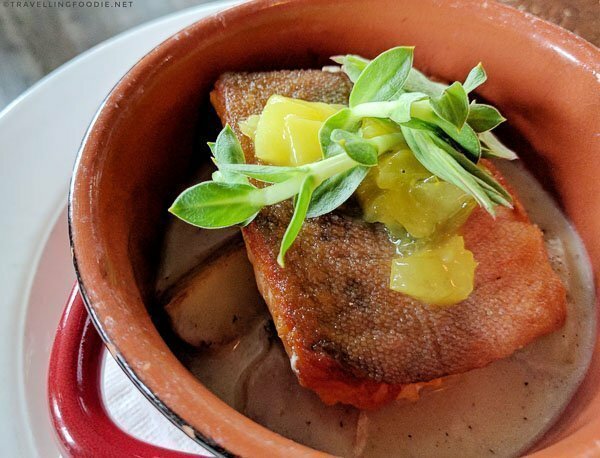 From the same owners as Field Guide, Highwayman changes it up with Spanish inspired restaurant offering tapas-style dishes (some of which are from Spain), a Raw Bar, and changing drinks menu. The restaurant seats 40 people with bar and table seating. Further along the restaurant is the kitchen which looks like a market showing their fresh seafood choices, bread maker, charcuterie and the big jamon iberico on display. 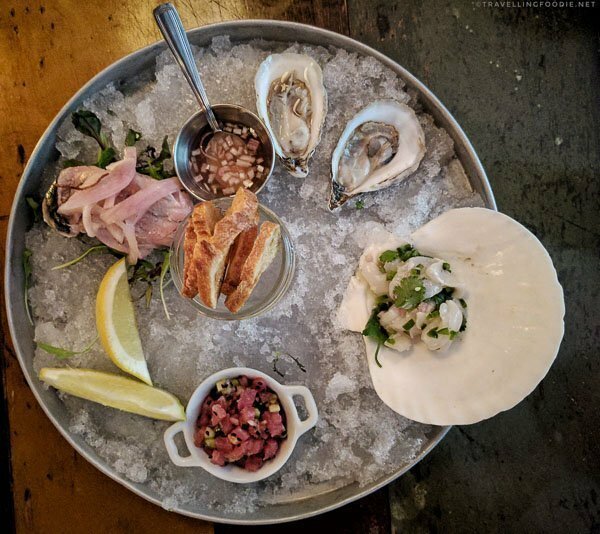 The Raw Bar is a new addition on their menu which features Sustainable seafood from Hooked Halifax based on availability and season. 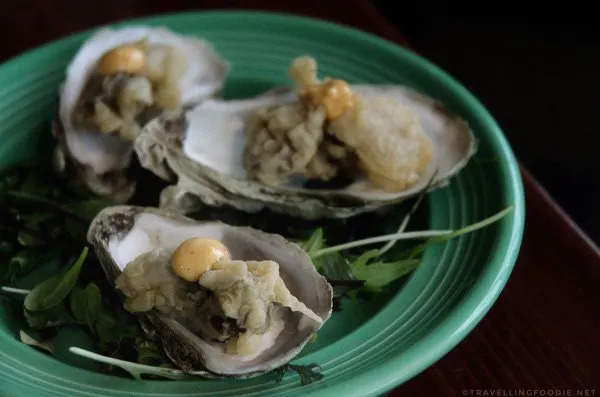 The oysters in this trip has been amazing, and the Eel Lake Oysters were no exception with its meaty yet creamy texture. The Side Stripe Shrimp were big and sweet, reminding me of Botan Ebi sashimi that I love in Japanese restaurants. One thing you must definitely order here is the Jamon Iberico. 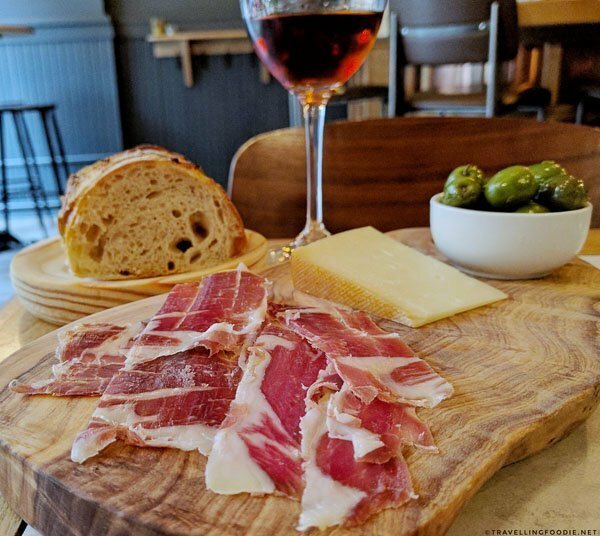 Sourced from Salamanca Spain, their Jamon Iberico is aged for 24 months and hand sliced each order. I had this with the Idiazabel Cheese from Spain along with their homemade bread, and, seriously, this totally took me back to Spain. Pairing this with a glass of Amontillado sherry was just perfect: the sweetness of the sherry helped balance the saltiness of the cheese, and its dryness to handle the richness and fattiness of the Iberico ham. 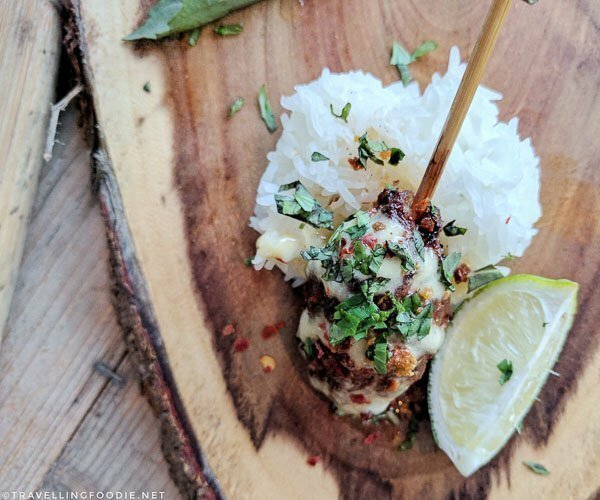 Pintxos are Basque country style tapas typically taken as bar snacks served on a toothpick. 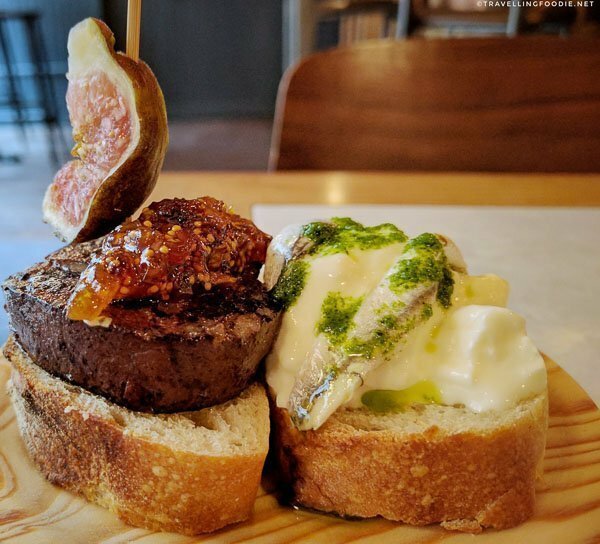 The Morcilla & Fig is blood sausage using mainly of pork blood and fat – something I’m not accustomed to eating, definitely an acquired taste. The Boquerone & Stracchino is marinated white anchovies with Italian cow’s milk cheese, which is more for me and paired perfectly with the Alvarinho white wine’s lightness and acidity. A new dessert menu also came out when I went – lucky me. I got to try the Chocolate Tart. 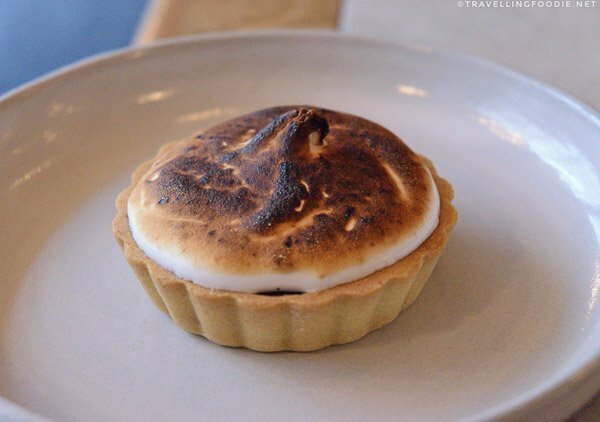 I love the appearance with the toasted meringue top. The mix of chocolate and bergamot ganache to have the sweet and citrusy together was surprising to me, but it actually worked amazingly well. 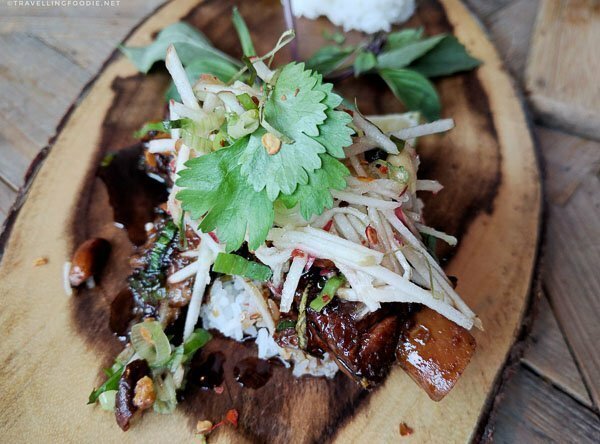 Opened by Cambodian Chef Saronn Pov and Executive Chef Ray Bear, Studio East Food + Drink offers Asian fusion focused on Cambodian-inspired cuisine in a very casual hip vibe with a big patio located in West North End Halifax. Their Asian fusion is interesting in the sense that it is a fusion of various Asian cuisine as opposed to the typical Asian + Non-Asian fusion. 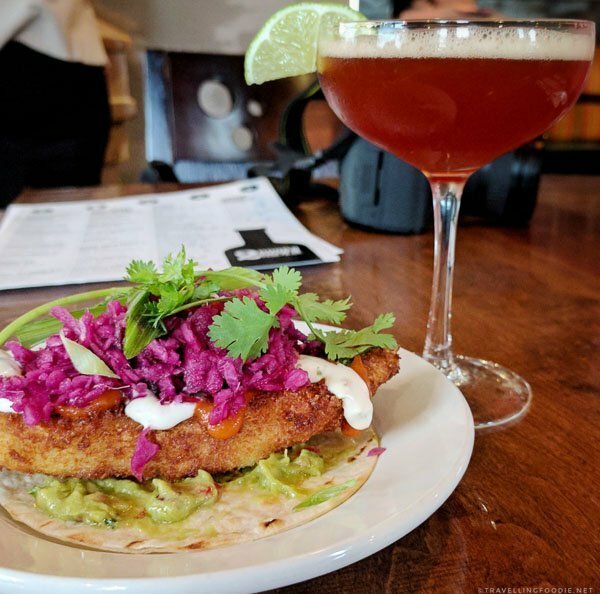 This restaurant is probably the most unique best restaurant in Halifax as it deviates from the other popular restaurants in the city. When I visited restaurants and they asked which other restaurants I was going to (or have went), all of them stop me when I say Studio East and tell me how amazing this place is. As a matter of fact, it is quite amazing. 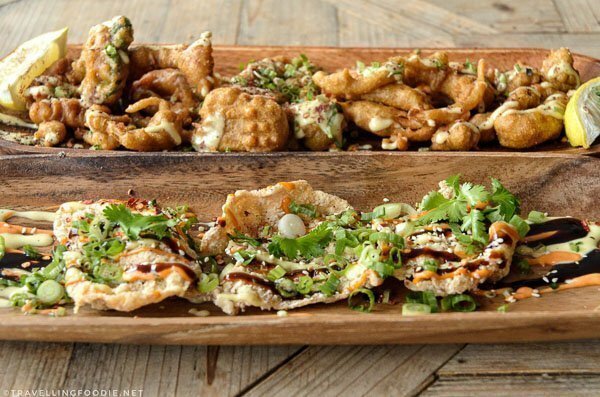 I don’t think we have something close to this in Toronto where you get such daring fusion of various Asian cuisine with complex homemade flavours using sustainable or seasonal and local ingredients. One of my favourites was the Ceviche. 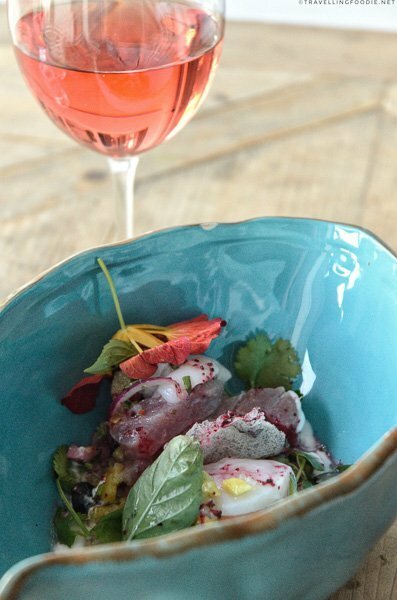 It’s not the typical Mexican or Peruvian ceviche doused with lime or lemon juice. This one uses a refreshing coconut-based sauce since coconut is popular in Cambodia and other Southeast Asian countries. 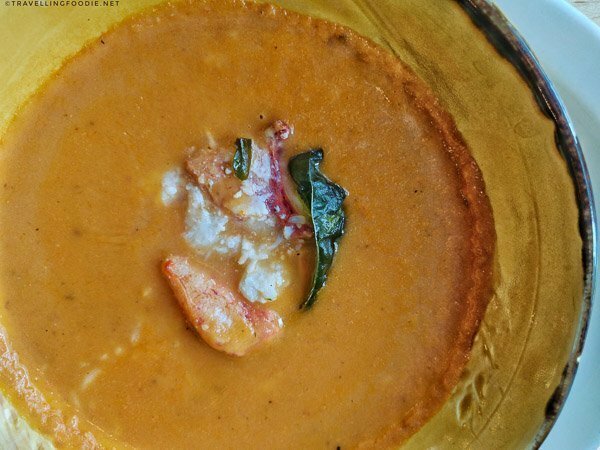 The Lightfoot & Wolfville Rose pairing with its slight acidity and burst of flavour brought out the creaminess and flavours of the coconut sauce. 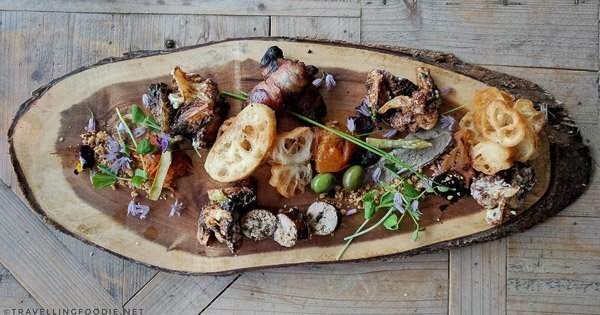 The Charcuterie Board is not your usual charcuterie as well. 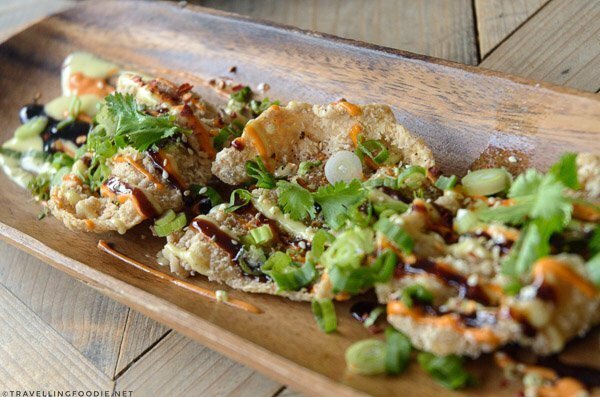 It’s a mix of various Asian meat, vegetables and even uses Youtiao (Chinese fried dough) found typically in congee as the “crostini”. My other favourite, the Chicken Crisps took me back home to the Philippines as it reminds me of having Pulutan (“to pick something up” – finger foods that are typically eaten with beer), and the crisps reminds me of chicharon, fried pork rinds. Be warned it is highly addicting. In fact, I had another order of this at the end of my dinner. 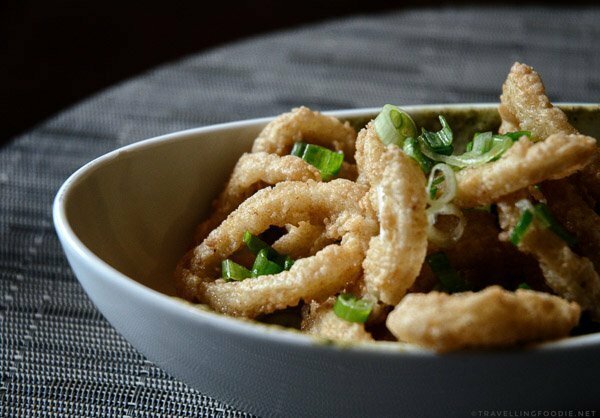 Their Calamari is Indian inspired as Calamari Pakora. Mind you, it is not also exactly the same pakora you’d find at typical Indian/Hakka restaurants. 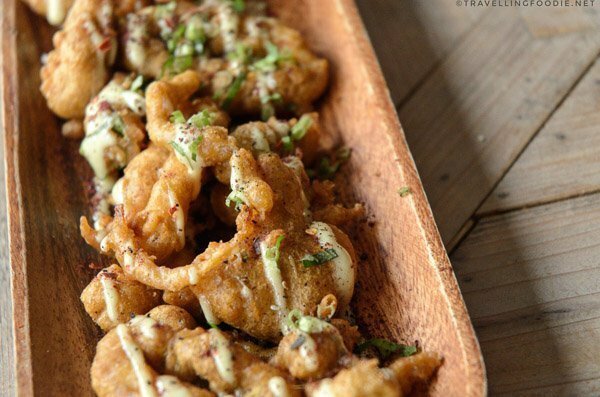 This one is the usual calamari but using fluffy pakora breading and Indian spices, another awesome Pulutan dish. 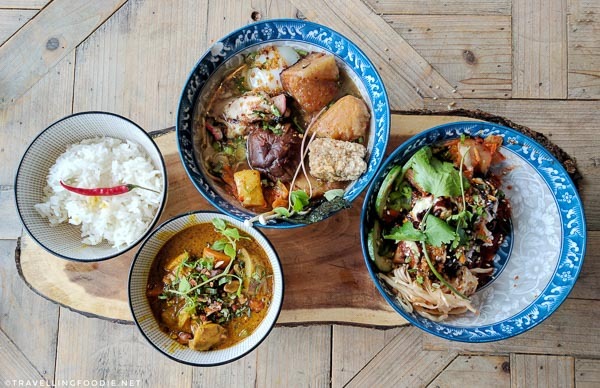 If you love curry, I highly recommend the Cambodian-Thai Love Curry. I haven’t tried Cambodian curry before, but I love Thai curry. From what I learned, Thai curry is more coconut-based and uses fresh chillies in its curry paste, making it spicier. Cambodian curry, on the other hand, doesn’t use chilli on its base paste but instead uses turmeric (chillies are added after at your discretion), and also uses fermented fish paste. The mix of the two just brings it to another level of curry especially with Chef Saronn’s homemade curry pastes. Did you know? They have Ribs Night on Tuesdays! The Night Market Lamb Stick was another winner for me since I love lamb. Packed with meat but very tender and juicy on each bite, the lamb was breaming with flavour of garlic aioli and fried garlic bits. 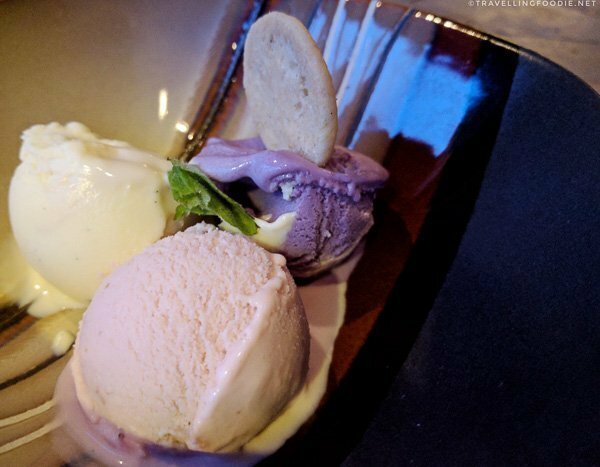 They make their own homemade ice cream, and they have adventurous flavours. 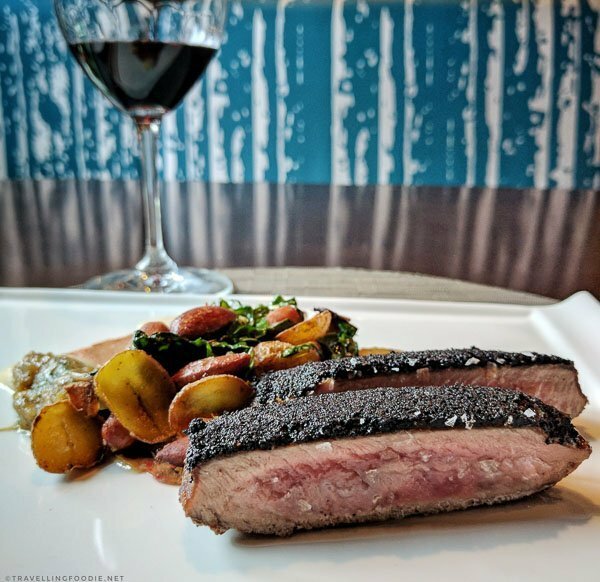 Located at the Prince George Hotel, Gio is a fine dining restaurant offering a diverse menu based on local and global ingredients for the season. It’s a very spacious restaurant with bar, table, sofa-type lounge, and a semi-private table seatings. Did you know? Sharon McNamara of Kiln Art produced the fused glass plates on display next to the bar, the stained glass looking window at the end of the restaurant, as well as some fused glass plates being served (e.g. for the Focaccia bread). One thing I must say is, typically, I find hotel restaurants to be unremarkable, banking on hotel guests mainly to dine. This is not the case here as I was quite impressed with the creativity and well-execusion of the food. 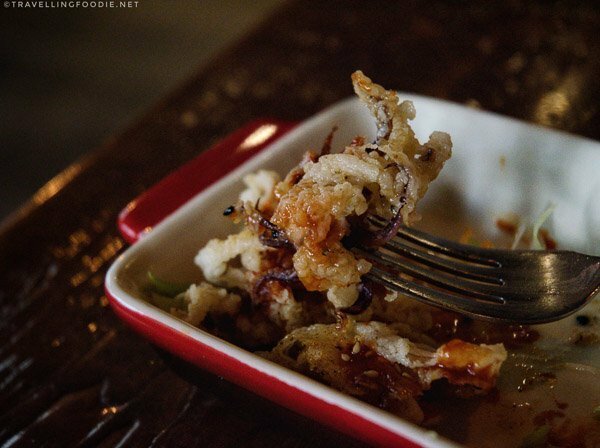 One of my favourites was the Calamari with the fresh squid soaked in buttermilk for 24 hours. What made this dish even better was the charred scallion aioli that came with it. 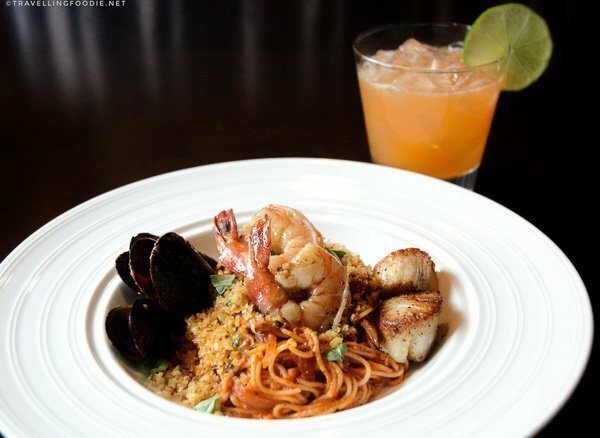 Their Capellini was full of seafood with the tomato sauce full of flavour with the fennel and fresh basil. Paired with their Solstice Cocktail, it went perfectly as the spicy kick from the cocktail’s jalapeno made for a nice spicy marinara taste! One thing I was most amazed about was their Chicken Liver Mousse. Sounds basic right? But what they did reminded me of dishes you’d find in molecular gastronomy restaurants. The different ingredients each had a role to play that together give an explosion of flavours, from the creaminess and richness of the chicken liver and foie gras, to the bitter cocoa nib, to the earthy sweet taste of beets, to the watery radish to balance the creaminess of foie gras and mousse. Beef lovers rejoice as not only do you get a succulent tenderloin, you also get a melt-in-your-mouth pulled beef short rib along with it. I actually ended up loving the pulled beef short rib more because of the hint of fat and sweetness. The short rib juices also went to the yukon gold potatoes which made it all the more better! Perhaps the most creative name I saw in this trip was Gio’s chocolate dessert called, Give me the chocolate and no one gets hurt. 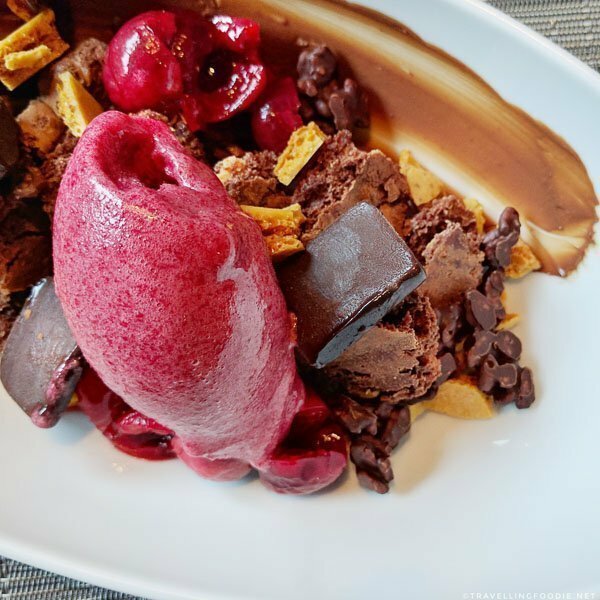 It’s a playful dessert consisting of various ways you can have chocolate. It’s very addicting as well. Though I ate all of the above dishes already, I still couldn’t stop myself from eating this. 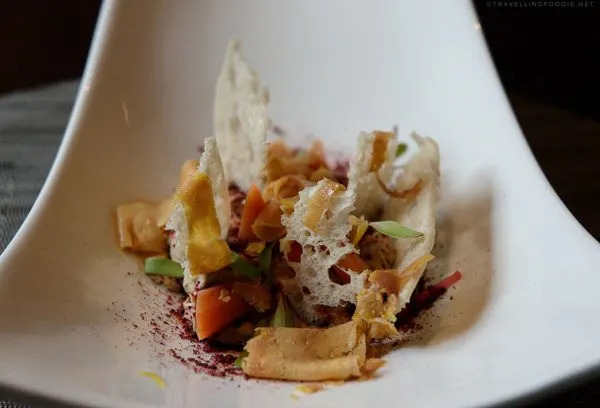 Opened in late 2013, Field Guide serves always changing menus, written on a chalkboard, with big focus on local ingredients featuring Nova Scotia producers, farmers and beers. This small restaurant in the North End seats 35 – 12 of which are bar seating, in an open concept kitchen. I did their Team’s Choice, 5-6 courses selected by the team – similar to Omakase in Japanese restaurants. I highly recommend this so you can try a wider variety of dishes at smaller portions. 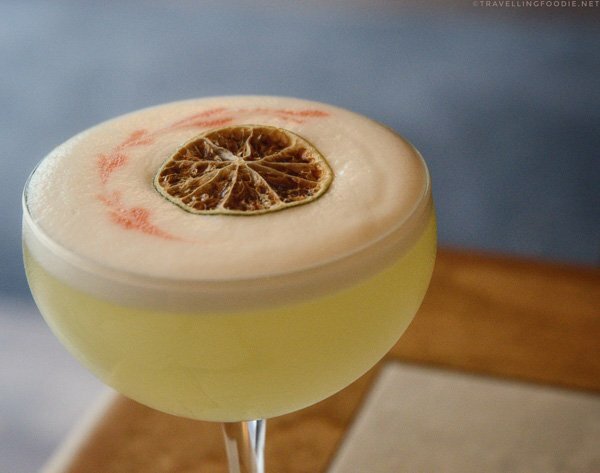 They are quite known for their cocktails so definitely try them out. They have off-menu cocktails sometimes which I had the chance to try. 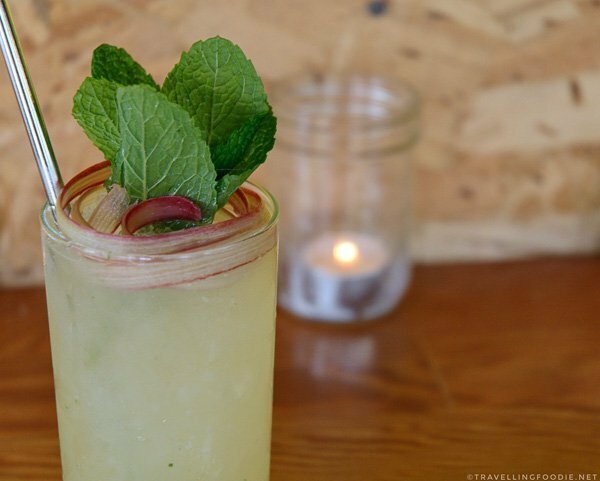 The Ginger Rhubarb Mojito was highly refreshing with the hint of sour from the rhubarb offset by the spiciness of the ginger. My ultimate favourite was the Scallops & Grits with Pork Belly. 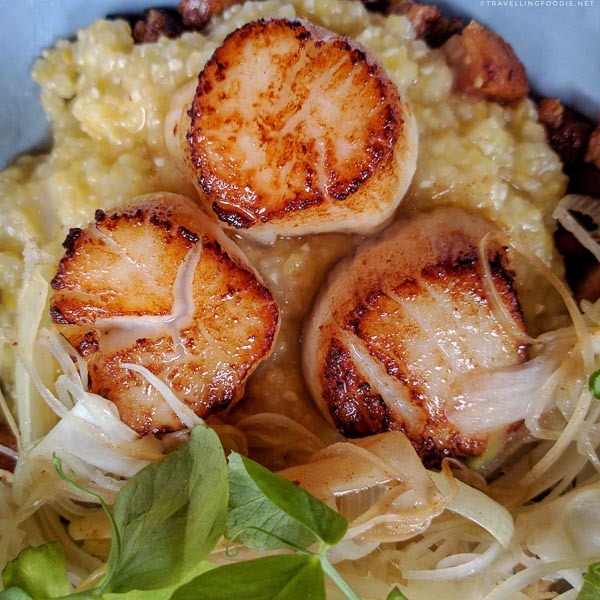 It’s sort of biased since I just love scallops, and the ones here were plump, meaty and perfectly seared. The pork belly was a great touch to add saltiness instead of using salt in the dish. I love the use of spring garlic instead of normal garlic since you’ll usually only find them in farmers market. The spring garlic added a fresh sweetness and slight nutty aroma to the dish, which you wouldn’t get in traditional cloves of garlic. 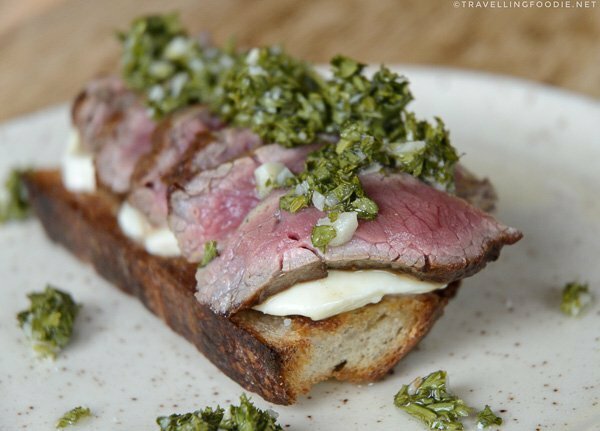 The Flank Steak & Mozza on Toast was such a treat with generous amounts of medium rare on top of local mozzarella cheeses. It’s also topped with chimichurri to add the fresh herby and zesty taste. The mozzarella helped balance the zestiness of the chimichurri since most of the time in restaurants I find the chimichurri can overpower the meat. The gnocchi wasn’t part of the Team’s Choice but I knew I wanted to try it as soon as I saw it on the menu. I’m so glad I did – it’s amazing! Lightly seared on the outside for a crunch, it was soft and light when you bite into it like tiny pillows. Their desserts change as well. 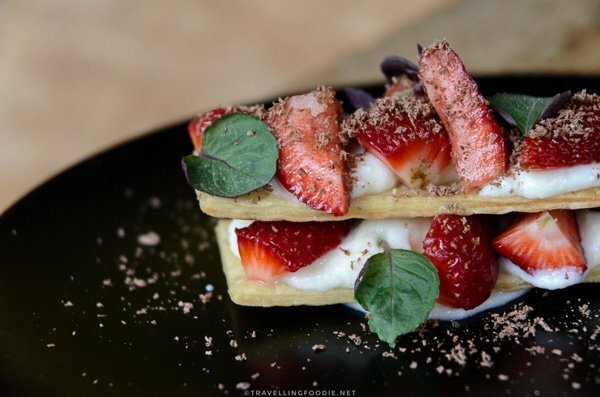 When I went, they were about to introduce this new strawberry dessert, sort of reminded me of an open-faced strudel without being overly sweet. Close to the Halifax Public Gardens, Krave Burger is all about bringing the old-school burgers back. 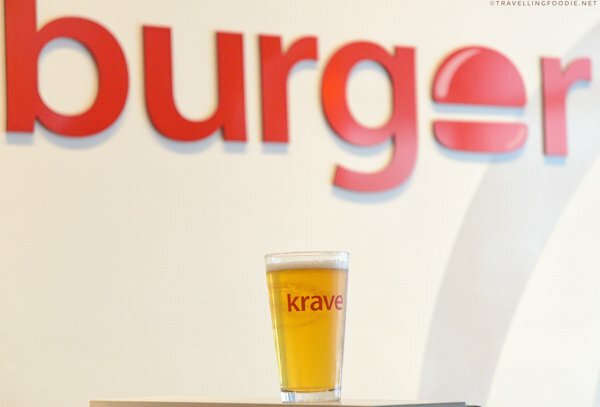 This burger joint also offers some of your favourite burger pairings like three kinds of mac and cheese, fries, onion rings, milk shakes and, even, alcohol (beer and wine). 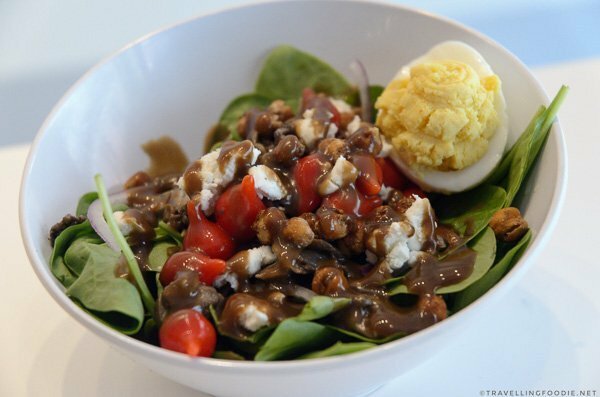 Unlike typical casual burger joints, at Krave, you order in the counter but they will serve the food to your table. The restaurant has clean white walls, red chairs, communal seating by the windows (where you’ll find the best lighting for pictures) and tables further inside. One thing they have that I’m surprised not a lot of places do yet are USB charging stations at every seat. I got to speak to the man behind Krave, Chef and General Manager Matt MacIsaac. He’s such a Travelling Foodie for burgers. 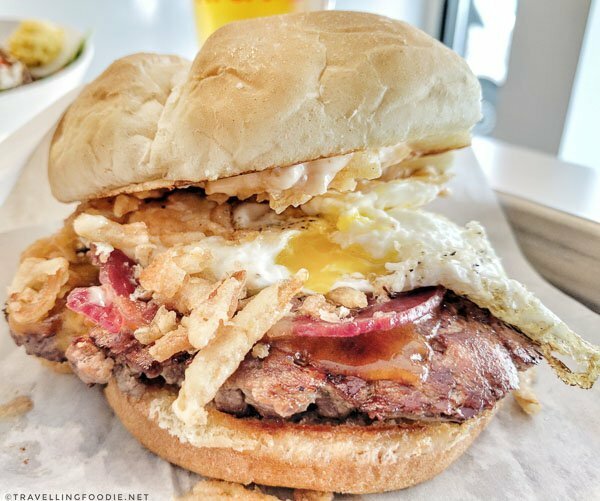 Before opening Krave Burger, he and his wife did a food trip across United States and Canada to try different burger spots from fast-casual to trendy gourmet joints. 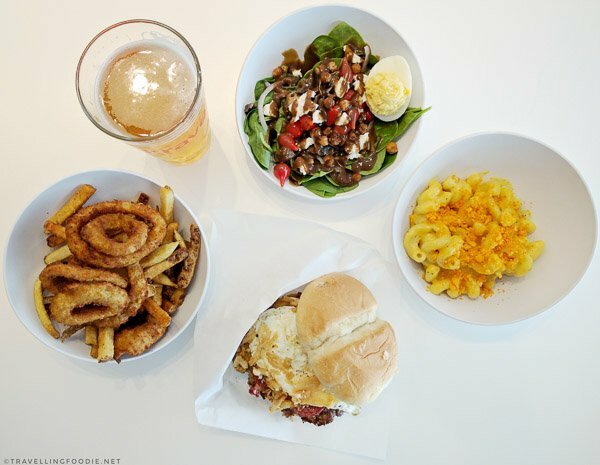 In the end, what they decided was to stick to what people love simple burgers done right – not those crazy burgers you’ll find in Instagram with 10 patties and 40 toppings that nobody knows how to eat. What does this mean? It means 100% grass-fed pure beef burgers that are locally-sourced, completely filler-free, and steroid-free – just how a proper burger is supposed to be. Ground-in house daily and only seasoned with salt and pepper, the burgers are sizzled on the grill on your order. I really loved the Bacon & Blue Burger with each bite giving me the burger’s steak-like consistency and delicious lean shoulder bacon. 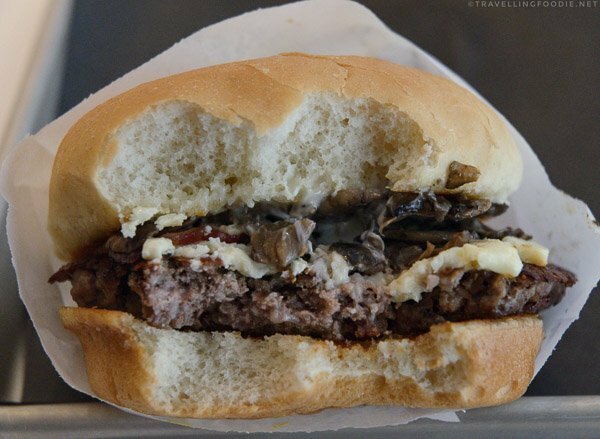 The tanginess and creaminess of the blue cheese just elevates the burger all together. I know blue cheese is a very acquired taste and not a lot of people like it, but please do try this and thank me after. One thing you won’t usually find in casual burger joints is alcohol so I was surprised that Krave serves them. In fact, they even have their own Krave Lager made by local craft brewery Propeller specifically for them. It was a great beer to drink with the burgers and sides they have. It was refreshing and not bitter which was perfect for me. 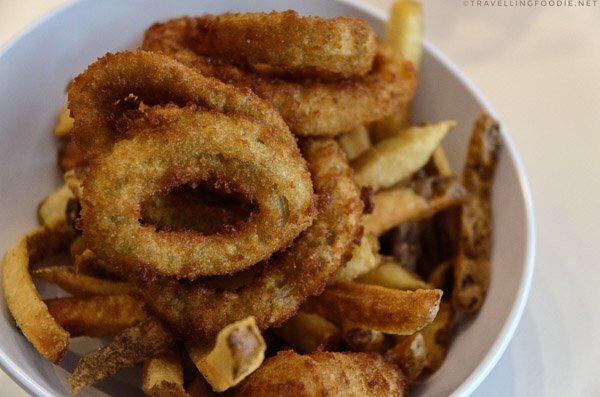 For sides, I had the Best of Both because I love both fries and onion rings. It’s a good choice if you love both so you don’t need to order each separately which ends up pricier and with way too much food. I love the breading used in the onion rings, and the onions are big and sweet. The Mac and Cheese is a great item to have when you’re not feeling for the burgers or the typical fried foods for sides. Love the cheesiness from their house-made creamy cheese sauce. 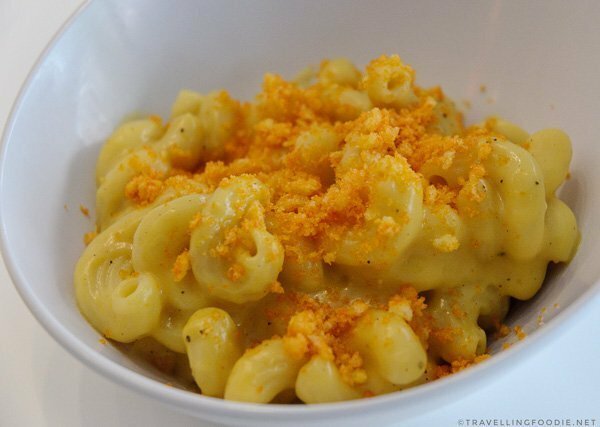 The cheese crumble adds a nice crunch to the corkscrew macaroni. 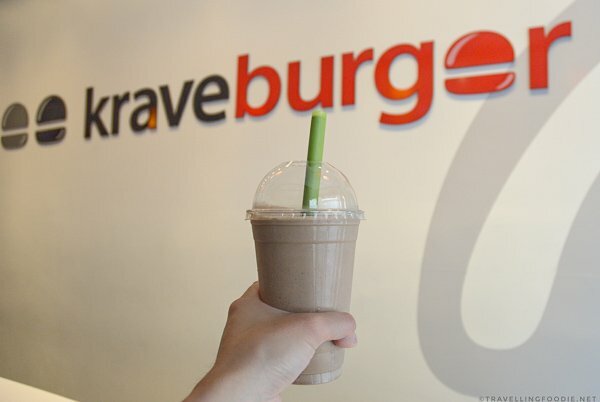 Krave Burger is also known for their thick hand-dipped milkshake using 100% dairy product. I got the Hazelnut Express and it was amazing! If you love hazelnut or Nutella, it’s definitely a must order here. I had no regrets having this after eating every above and drinking the beer. 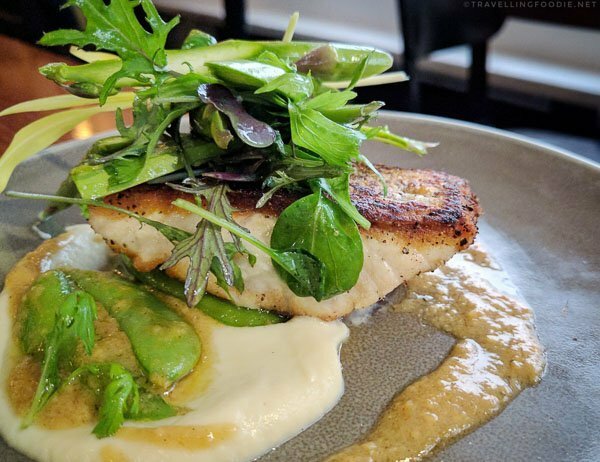 Owned by Chef Craig Flinn, 2 Doors Down is a casual urban restaurant offering seasonally-inspired and locally-sourced menu with local and international wines, craft beer, and original cocktails. Did you know? The restaurant is called 2 Doors Down because it is just two doors down from its sister restaurant Chives Canadian Bistro. 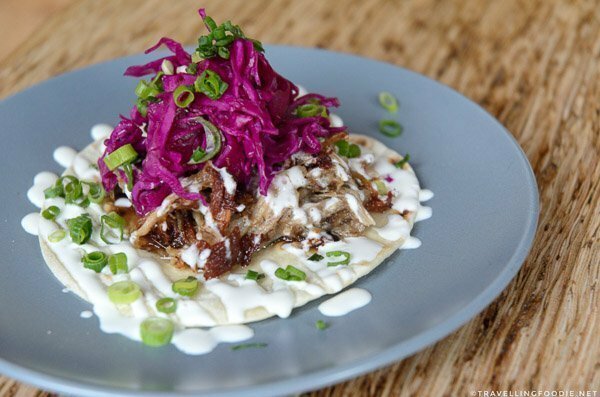 2 Doors Down is actually made up of two locations: 2 Doors Down Food + Wine and 2 Doors Down Bar + Bites. Both reside on the main floor of the historic Halifax Mason Building and are just right across from each other. I went for dinner at 2 Doors Down Food + Wine. My most favourite here was the Buttermilk Calamari, so much that I ordered a full order at the end of my meal, following the initial sample size. I love the choice of squid they use as they weren’t the thick squid rings, but the normal rings and tentacles – and I love the tentacles more than the rings. The squid was very fresh and had the squid taste I look for in calamari. The batter was light but crunchy. The red dragon sauce added a hint of sweet without overpowering the squid. My other favourite was the Crispy Arctic Char. The skin was perfectly crispy. The fish was moist and tender inside with a good taste of fat intact and lingering on each bite. 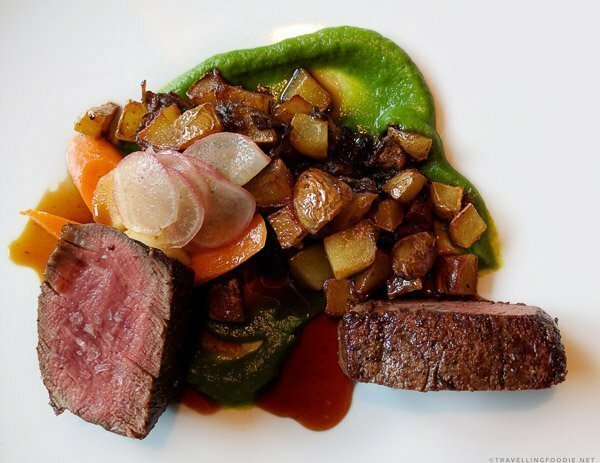 Are your favourite restaurants in Halifax in this list? Let me know what’s the best restaurant in Halifax for you by commenting below! DISCLAIMER: Though the meals were complimentary, all opinions are my own. 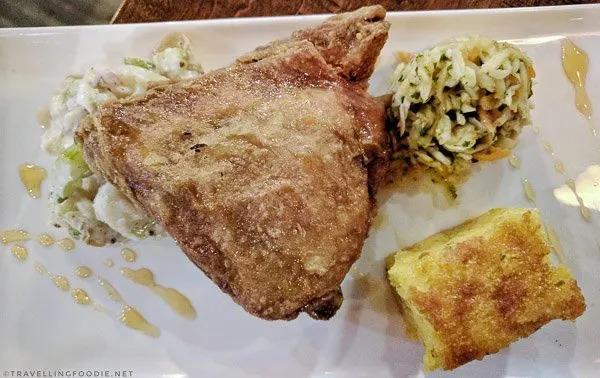 Posted on July 18, 2017 January 5, 2019 by Travelling FoodiePosted in Canada, Food, Halifax, Nova ScotiaTagged food trip, guides, people, restaurants. very interesting post! I love seafood! Did you try Elliott and Vine? Best meal I’ve had in a very l one time….exceptional! No, I didn’t. Those are all the restaurants I got to visit during my 4-day trip. I seriously need to go back! Unfortunately, five fisherman, the iconic fish restaurant in Halifax…key words fish restaurant…cannot cook halibut. Have made the ” Mistake” of having it there a few occasions and it has always been over done and dry. Fish restaurant should know how to cook fish. 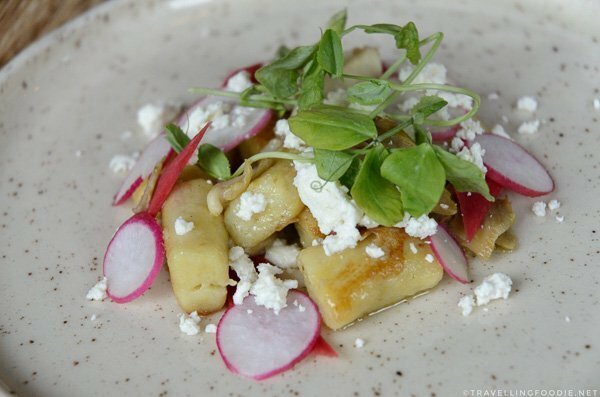 Gnoccci with mushroom and feta per the picture looks more like gnocchi with radish and feta…just saying. 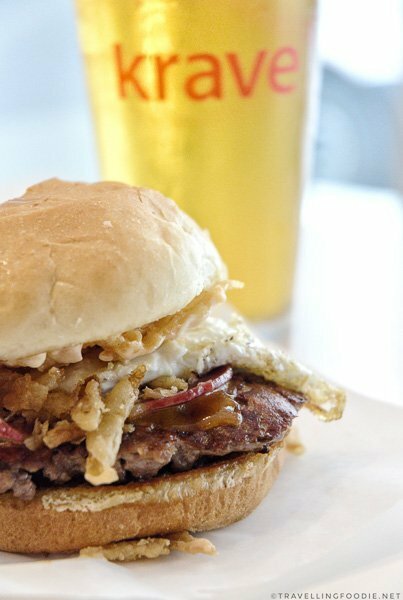 And Krave burger…..plenty of better burgers in hfx!!! Thanks for your thoughts. Unfortunately, I am unable to comment about the fish since I didn’t try the fish there. I hope you do relay your concerns to the restaurant so they can learn from your experience. Regarding the gnocchi, the mushrooms are actually underneath the pile of gnocchi so you cannot see it in the photo. We’re all entitled to have our own opinion on what’s best since we have different tastes and preferences. Which places do you find better, out of curiosity? Have burger week which makes it hard for burgers, but certainly Krave isn’t a top one. Two doors down certainly. My favourite this past burger week was that at Stubborn Goat, which is a good choice anytime. Also like Primal and Gingergrass for amazing fresh Thai/vietnemese. But as you said Halifax does have so many great options. The one ironic thing is as a port city the seafood choices could be better. I did hear about people raving about Press Gang when I visited, as well as 2 Doors Down for their burger (even Matt of Krave said he loves it). Yeah, I really wish I had the opportunity to stay longer as there were so many places I wanted to try. What seafood choices in particular are you referring to? I love seafood! 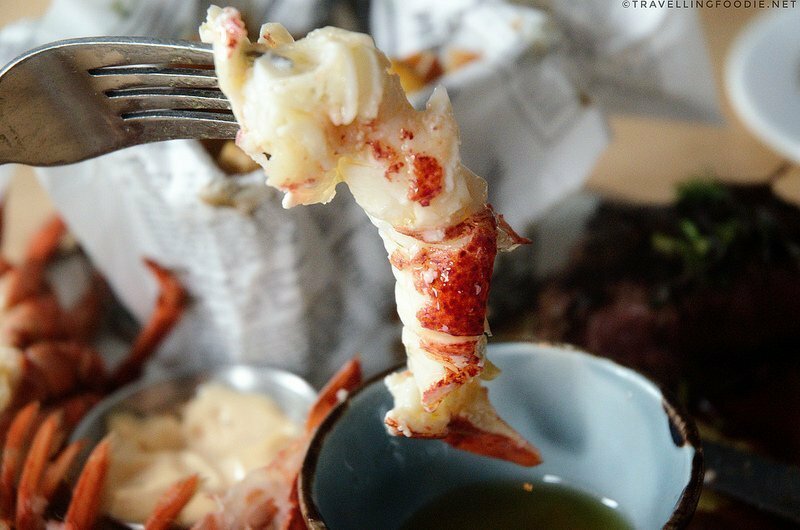 I really want to go to Halifax just to try the lobsters there! Check out my posts on my foodie adventures 🙂 and my instagram page! thanks! If you ever make it back this way, Black Sheep on Dresden Row is not to be missed! 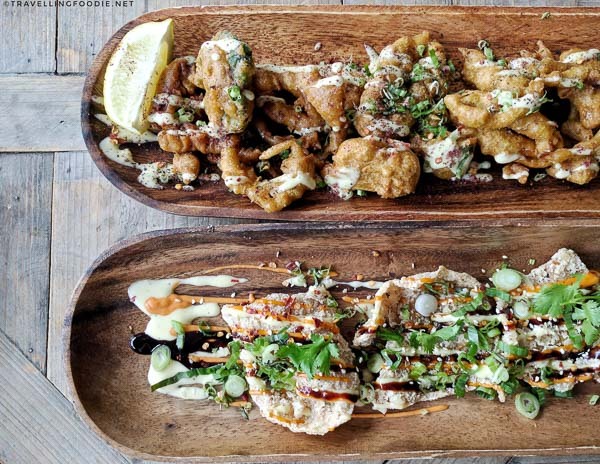 Amazing cocktails, stuffed calamari and outstanding spicy fried chicken. Really enjoyed your write up! Thank you so much! Have you been to all of the restaurants in my list? I’ll definitely keep that in mind. My stay was definitely not enough to try all the great places! There were so many in my list. I’ve been to all except Field Guide but eager to try! These images are great, all the seafood looked incredible. 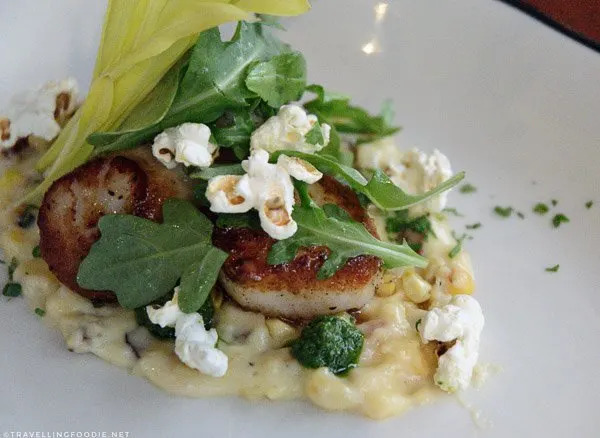 Although popcorn on top of scallops is a new one for me. Can’t wait to get up to Halifax! You’ll enjoy the seafood offerings there! Your making hungry, nice photos. I’m not much for salads as well, so you don’t see any of that in my list lol. 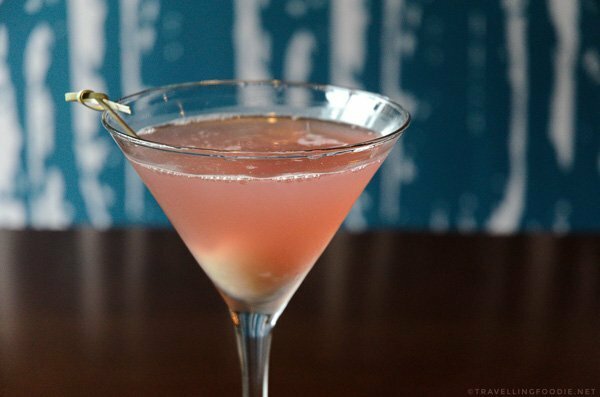 Have you tried Studio East? I really loved the cocktails at Edna. Did you mean you will try all from my list some time? Or the ones you mentioned like Blue Olive. You didn’t go to Salty’s?! Didn’t have a lot of time. I had so many places in my list.